In June 2010, the deepening rift between Turkey's ruling Justice and Development Party (AKP) and the Ministry of Foreign Affairs (MFA) unexpectedly came to the public eye when seventy-two retired ambassadors and consul-generals issued a written statement protesting Prime Minister Recep Tayyip Erdoğan's lack of respect in dubbing them "mon chers" and criticizing the government's foreign policy. Why did the prime minister publicly snub his diplomats? By way of answering this question, this article reviews the ongoing rift between Erdoğan and his diplomats before carrying an English translation of the ambassadors' statement and interviews with two retired senior diplomats. Mustafa Kemal Atatürk, founding father of modern Turkey, sought to extricate the country from its imperial past and transform it into an integral part of Western civilization. Two main reasons come to mind. To begin, there is the perceived class difference between the diplomats and the right-wing political parties (such as nationalist and Islamic movements), which have their roots in and represent mostly the rural areas and the urban working class, and which view the diplomats as an elitist group that looks down on the common citizen. The term mon cher implies that they are snobbish, Western-influenced status seekers who are disconnected from the traditions and values of the Turkish nation. A vivid illustration of this mindset was afforded in May 2006 when Erdoğan scolded Turkey's ambassador to Berlin, Mehmetali İrtemçelik, for preventing a local Turkish woman from using a photo with a headscarf in her passport though the ambassador was merely enforcing the official regulations. While there are some intellectuals and diplomats who disagree with Erdoğan's perception of the ambassadors, others subscribe to his argument, including diplomats who did not sign the statement for those reasons. One senior ambassador asserts that although tarring all diplomats with the same brush is wrong, some diplomats despise the grassroots and are uneasy seeing "commoners" like Erdoğan in power. To this end, in January 2010, Foreign Minister Ahmet Davutoğlu took a group of diplomats to the city of Mardin in southeastern Anatolia to allow them to mingle freely with the masses and get a firsthand sense of their "ordinary" compatriots. The second source of tension between Erdoğan and his diplomats is ideological. Several retired and serving ambassadors are wary of the AKP government since its leadership comes from the Islamic political movement. 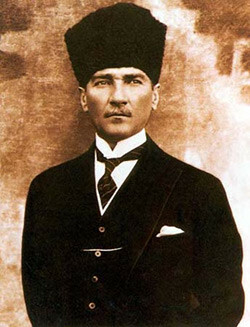 Specifically, the old school, brought up on the modernist, secularist principles on which Mustafa Kemal Atatürk predicated the modern Turkish state—established on the ruins of the Ottoman Empire—considers the government's policies a reflection of the AKP's ideological precepts rather than of Turkey's national interests. They argue that the government has deviated from Turkey's traditional, Western-orientated foreign policy based on the alliance with the United States, its membership in the North Atlantic Treaty Organization (NATO), and the prospect of European Union membership. So far the AKP has commenced EU membership negotiations, contributed to NATO forces in Afghanistan, and has generally been on good terms with the Obama administration; its previously good relationship with Israel, though, has been significantly damaged as Erdoğan has openly cultivated closer ties with some of the region's other states and organizations, notably Iran, Syria, and Hamas. Some of the retired diplomats who have been highly critical of Erdoğan's foreign policies hold top positions in the opposition political parties, such as the Kemalist Republican Populist Party. According to a senior ambassador, it was these individuals and other like-minded ambassadors that Erdoğan was actually targeting when he used the term mon chers. Thus, for example, the December 2009 resignation of Turkey's ambassador to Washington, Nabi Şensoy, during Erdoğan's visit to the U.S. capital, was officially attributed to a dispute over protocol. In fact, behind the resignation lay the ambassador's subscription to the ideas of the conservative camp within the Ministry of Foreign Affairs, his being bypassed by the AKP's own foreign policy team, and his disagreement with the government's Middle Eastern policy. Indeed, the AKP's policy toward the Middle East has been a rupture point between the two parties since for secularists it defines Turkey's core orientation and continued subscription to the democratic legacy bequeathed by its founding father. While they concede that Turkey has significant interests in the region, they are dedicated to Atatürk's vision of transforming Turkey into a part of Western civilization and, therefore, place great emphasis on ties with the Euro-Atlantic community. By contrast, Erdoğan views Ottoman history as the admired past of a great empire that once shaped the world order, as in the era of Suleiman the Magnificent (1520-66). In his opinion, Turkey's (supposedly) unsuccessful foreign policy stems from mon chers' passivity inspired by an overly pro-Western orientation and their inability to appreciate the Ottoman past, which prevent them from understanding the government's strategies. According to him, the AKP has initiated a strong and honorable diplomacy that reflects the Turkish nation's true identity and the country's historical and geopolitical realities. For instance, when retired diplomats criticized Erdoğan for his attack on President Shimon Peres during the World Economic Forum in Davos in January 2009 over the Israeli operation in Gaza, he angrily retorted, "I came from politics; I don't know about the ways mon chers behave. And I don't want to know." He later dismissed their criticism as demonstrating the improper attitude of "the obsolete mon chers" as opposed to his righteous stance in Davos. The tension between the AKP and the retired diplomats is but one aspect of the wider polarization in Turkish state institutions and public opinion at large, reflecting concerns about the AKP's ulterior motives. According to some, AKP initiatives aim at a "civilian dominance" under the disguise of democratization and at transforming Turkey into a state governed in accordance with Islamic values, if not Shari'a law. Yet some liberals regard them as important improvements for Turkish democracy and view objections to them as simple anti-government prejudice. For instance, the government reforms on the organization of the Ministry of Foreign Affairs in July 2010 include several improvements, such as the creation of new departments, area specialization, and foreign language education. The new law stipulates that the diplomats will represent not only the Turkish Republic and its president but also the government. It also allows appointment of non-ministry individuals as ambassadors and the recruitment of graduates from several fields, including theology. According to a senior diplomat, these modifications will give all bright graduates a chance to enter the ministry and will break the elitist and status-related approach of the old school. However, others maintain that these changes may facilitate the entrance of the AKP's own cadres into the foreign ministry (e.g., through political appointments and the recruitment of theology graduates) and tighten its grip over the foreign policymaking process. Similar reservations and debates revolve around other key state organizations. The AKP has dominated the Turkish parliament with 341 out of 550 seats since the 2007 elections, which enabled the election of a prominent AKP figure, Abdullah Gül, as president. This exacerbated the secularists' fears, who argued that his election endangered one of the fundamental principles of democratic governance, namely the separation of powers, and that the constitutional reforms—approved in a referendum in September 2010—would strengthen the president's authority. In June 2010, several members of this camp applauded the constitutional court's rejection of the AKP's proposed changes in the election of members of the legal system, including the constitutional court itself, the supreme council of judges, and public prosecutors, which they believed would consolidate the executive's control over the judiciary. The new constitutional package also foresees a more transparent and accountable military, which is considered by both the AKP and liberals a sine qua non for democratization. On the other hand, many regard this change as an attempt to weaken the military, the bastion of Kemalist principles and thus impregnable to the Islamists. Prime Minister Erdoğan has recently made a habit of using foreign words in his speeches. It started with the English words "one minute" at Davos. Then he recently began to fancy the term "mon cher." This term means "my dear, my friend" in French. In Turkish slang, however, the word pejoratively means "mother's darling." Yet next to the military and police, the diplomatic service at any level is the most hazardous civil service. Which of our diplomatic representatives, who serve permanently or temporarily in conflict zones in the most dangerous parts of the world—who represent our country, provide humanitarian aid, maintain political contacts, and furnish administrative, technical and communicative support to the diplomats at any rank, level and age, young and old—deserve this jeering? Our long standing diplomatic tradition obliges us "not to shirk away from any danger" and to hold our heads high without being defeated by anyone in the international community. The attitude of the Turkish ambassador [who demonstrated self-sacrifice, devotion, and dignity] in Ömer Seyfettin's "Robe with Pink Pearls" is one of the stories of our collective tradition, which our ambassadors are proud of having. Nor is there any elitism amongst our diplomats. Many of our diplomats who have risen to the highest positions in the ministry needed scholarships in order to pursue their higher education. Among them are foreign ministry undersecretaries. Old stories and novels attest to the use of such terms as "mon cher" during the Ottoman period. One cannot resist asking: "Like the foreign policy axis that the government has been forging, does it dignify the prime minister to take a fancy for neo-Ottomanist vocabulary as well?" We would like to remind him that the Turkish Republic's foreign policy and diplomacy were rebuilt on strong foundations as a consequence of lessons learnt from the actions of some Ottoman diplomats who served the interests of those foreign powers they fancied, which had become an Achilles heel of the empire in its final years. The big foreign policy gains of our republic have been achieved thanks to the Turkish diplomats of the republican era. Turkish diplomats have been loyal practitioners of the "peace at home, peace in the world" principle, which Atatürk stipulated for our foreign policy, and they have been loyal to the key principles of our state. In-house training is conducted diligently [at the Ministry of Foreign Affairs]. Important promotions are also made on the basis of demanding examinations. Nepotism has never come into play during these exams, which is why Turkish diplomats are remembered with admiration. Their achievements were confirmed by the establishment of the Balkan (1934) and Saadabad (1937) pacts, which aimed at building a security and cooperation zone around our country; the signing of the Montreux agreement (1936); the resolution of the Hatay problem (1939); the saving of the country from the disaster of a new war by staying out of the Second World War; Turkey's participation in NATO; the ongoing negotiations for membership in the European Common Market and the EU for the last fifty years; and the various stages of the negotiations within the U.N. framework, beginning with the London and Zurich agreement (1959), to resolve the Cyprus issue in favor of our national interests. Foreign policy is not about displaying cavalier attitudes and ignoring past achievements with statements like "those before us didn't do anything. The honorable period has started with us." [Erdoğan, TRT Haber TV, June 6, 2010] Foreign policy is a long-term, serious endeavor. It is a serious mission which requires knowledge, accumulation of knowledge, vision, and levelheaded analytical skills. Foreign policy is about making levelheaded decisions and taking into account the intricacies of a chess game as well as the past in its strategic depth while at the same time calculating the future. As a matter of fact, Turkish diplomats saved Jews from Nazi concentration camps at the cost of their own lives during the Second World War. By the same token, the wives and the children of our diplomats lived in the eye of the storm. Our Consul General Selahattin Ülkümen in Rhodes lost his wife in a Nazi aerial bombardment whilst saving the Jews on the island. Our ambassador to Madrid Zeki Kuneralp's wife, Necla Kuneralp; our charge d'affaires to Lisbon Yurtsev Mıhçıoğlu's wife, Cahide Mıhçıoğlu; administrative attaché to Lisbon Erkut Akbay's wife, Nadide Akbay; secretary to the Turkish Embassy in Tehran Şadiye Yönder's husband, Işık Yönder; ambassador to The Hague Özdemir Benler's son, Ahmet Benler; and administrative attaché to Athens Galip Özmen's daughter, Neslihan Özmen, were martyred by Armenian terrorists. It is clear that the honorable prime minister is ill informed, not only about our difficulties but also the difficulties endured by our families as a result of our profession. Turkish diplomats have continued to do their jobs with courage and levelheadedness at the cost of their lives in Cyprus, Iraq, Iran, Lebanon, Afghanistan, Bosnia, and Somalia. It must be noted that courage and dynamism in foreign policy do not mean adventurism. Those who claim to know history well should always remember the misfortunes wrought on our country by such cheap promises as "to perform prayers together in Jerusalem." Making our innocent people pay for the cost of such cheap bravery [i.e., the Gaza flotilla incident which ended with the killing of nine Turks by Israeli soldiers] is an additional reason for sadness. The republic's foreign ministry corps has never acted as the hands, arms, and eyes of other countries or circles. It has been proud of its high self-esteem engendered by the long-standing accumulation of the nation's history and morality and its existence in this land freely for centuries. Until now we assumed that it was only Armenian terrorism that targets Turkish diplomats. During the past year, we have had difficulties explaining the behavior of our honorable prime minister, who has been verbally attacking his own country's diplomats on every available opportunity. Foreign policy cannot be conducted through the misuse of a few foreign words, scornful statements against diplomats and commoditized initiatives—which are in contradiction with each other—for the sake of short-term expediency. Should [our foreign policy continue to be] conducted in this fashion, there will be a heavy cost. The sad part is that the cost will not only be paid by those who have adopted a thoughtless, shallow approach, but also by our entire nation. We would like to end this statement with a short rhyme inspired by one of our late ambassadors, which demonstrates our sadness: "No fairness is left in human beings/ We were considered martyrs when it suited them/ And mon chers when it didn't/ In this disloyal world." Middle East Quarterly: Why did you issue the public statement? Faruk Loğoğlu: The declaration was a necessary and long overdue response to the barrage of scorn heaped by Prime Minister Erdoğan on retired diplomats and the art of diplomacy. Its immediate purpose was to inform and enlighten the public about the background, training, work, sacrifices, and dangers in the life of a career Turkish diplomat. At the same time, the statement also provided a chance to comment on the sad state of Turkish foreign policy. MEQ: What in your view informs Erdoğan's attitude? Loğoğlu: Why Erdoğan keeps scoffing at retired diplomats is a moot point. He abhors criticism. Most former diplomats are critical of his policies, including his conduct of Turkey's foreign relations. Diplomats exercise self-control even under the most provocative conditions, always think twice before speaking, and act in a measured and guarded fashion. Politicians do not like these qualities and ridicule them as lacking courage and backbone. In the end, because diplomats are closer to the truth than their detractors, they become the subject of scorn. MEQ: But hasn't the Ministry of Foreign Affairs become an elitist group, alienated from the grassroots? Loğoğlu: The characterization of diplomats as a closed caste, detached from the rest of Turkish society, is neither true nor justified. Turkish diplomats come from a representative spectrum of the community in social, economic, and cultural terms. They are, however, a select group because their career requires the highest standards of education, culture, historical knowledge, and familiarity with Turkish society. The entrance examinations are rigorous, and only the best are accepted. Many come from modest backgrounds and are self-made individuals. Given their chronically low salaries, most Turkish diplomats never become rich, and, after retirement, live ordinary lives. If, however, their education, career, and experiences make them different from the average politician, that should be taken as a fact of life, not as a pretext for denigration. MEQ: Is Turkey in the midst of an orientation shift as some argue? Loğoğlu: There is certainly a paradigm shift in Turkish foreign policy away from its traditional moorings in the Euro-Atlantic community and toward new directions, mostly the Muslim world. This change is a consequence of the fundamental shift of Turkish polity as a whole—away from a secular democracy toward a regime that will continue to resemble democracy in some formal aspects, but one with progressively non-secular underpinnings. The space of Islam and religious precepts, rules, and norms is growing at the expense of other spaces and societal points of reference. There is thus a coherent and consistent mindset and outlook driving Turkish foreign policy today. MEQ: Would you care to elaborate? Loğoğlu: Should the current political dynamics and trends persist, Turkey will be a very different country in both domestic and external terms. Seeking partnerships and joining or creating new schemes, Turkey will probably abandon its EU accession drive altogether. It will be a power not just from, but also, of the Middle East region. Its ties with NATO may come under increasing questioning. In short, Turkey's place may no longer be in the Euro-Atlantic community, but elsewhere. The meaning of such an eventuality may differ in accordance with one's outlook. Yet it is certain that Turkey will no longer be the secular democracy it has been since its foundation, a society with a commitment to progressive civilization. Middle East Quarterly: What do you think of Foreign Minister Ahmet Davutoğlu's foreign policy strategies? Ümit Pamir: There are some realistic components in his policies though not all are so well-rounded. It is true that Turkey follows a practical foreign policy; that it is an important player in its region; that it needs to use its soft power; and that it should use its cultural and historical bonds with the surrounding region. However, these issues must be approached from a realistic perspective. It would be a mistake to claim that "we are not only a regional but also a global power" as Davutoğlu does in his book, Strategic Depth [Stratejik Derinlik (Istanbul: Küre Yayınları, 2009)]. Pamir: Turkey simply doesn't have the capacity to act as a global power. It can analyze issues from a global perspective, but to claim the role of a global power is a different matter altogether. The current policy gives the impression that Turkey is not trying to become a regional power but rather a global one. It is true that a new world order is being established, and it is sensible to seek a regional power position. But claiming a role to influence the global checks and balances is beyond Turkey's capacity, and it is an unattainable goal. MEQ: Could you give an example? Pamir: A good example of this approach is the Gaza flotilla crisis between Turkey and Israel in May 2010. Israel is the occupying state in Gaza, and, therefore, it has to be consulted and negotiated with. An operation or action cannot be initiated without consultations with this country. Israel made a big mistake by attacking a civilian ship in international waters. Yet this does not mean that Turkey could take any initiative without thinking about the consequences. MEQ: It was a civilian initiative. What could the AKP do? Pamir: Turkey gave the impression that it sided with Hamas, which had hurt Israel. If Turkey wants to become a soft power and use such power, it must act as a mediator rather than a champion of an ideological stance. For instance, the peace initiative that Turkey started between Israel and Syria as a facilitator was wasted since Israel declared that it didn't want Turkey in this role anymore. Even the Gazans ultimately asked the Egyptians to resolve their problem. If Turkey wants to act as a facilitator and a mediator, it must take the middle ground vis-à-vis the two sides, regardless of its affinities. But Turkey sided with Hamas, which raised questions about its policy direction and ideological stance. MEQ: Could you give another example? Pamir: Take the Armenian question. It is undoubtedly positive to state that "we are going to resolve our problems with our neighbors." [Ahmet Davutoğlu, Samanyoluhaber.com, July 14, 2010] But this statement is not enough on its own since the other parties should reciprocate this intention. By signing the October 2009 accord on the normalization of Turkish-Armenian relations, Turkey offended Azerbaijan, whose dispute with Armenia on Nagorno Karabakh remains unresolved. Ankara initiated this process on the basis of a promise by third parties, especially the United States, that Armenia would be persuaded to withdraw from Karabakh. But in foreign policy, states cannot act on mere promises, especially when dealing with a superpower. There must be a detailed action plan. When that plan materializes, then the other state—in this case, Turkey—would take the necessary steps: in this context, signing the accord and taking it to parliament for approval. MEQ: What is your take on Turkish-Iranian relations? Pamir: Turkey cannot improve its relations with Iran on the basis of pure friendship. Iran's transformation into a nuclear power will create a serious problem for Turkey. Though the two countries have lived as neighbors for a long time and do share a broadly common history, they have always been competitors. Believing that Iran will not harm Turkey because of brotherhood is not a realistic strategy. In international relations, capabilities are as important as intentions, hence no one can be sure of what the future will bring. In short, Turkey's use of soft power is important, but it has to be based on a realistic vision and on foresight. Pamir: The impression among many people is that Turkey used to have its own clear-cut national interests. These objectives, such as Cyprus and the Armenian issue, were explicitly clear to everyone. Other states might agree or disagree with them, but they recognized Turkey's vital interests. The question that many people are asking now is: Has Turkey changed the definition of its national interests? They wonder whether Turkey is redefining these interests in accordance with religious motives. At times I suspect that myself. For instance, Turkey came to the forefront because of the government's stance toward Hamas whereas we haven't done much about the problems in Kyrgyzstan and Uzbekistan despite our kinship and historical ties with them. Is this not a contradiction? MEQ: Following on the previous question, should Turkey consider, for instance, the Palestinian problem as part of Turkey's national interest? Pamir: The Palestinian problem is part of Turkey's international agenda but not part of its national interest. On this international issue, Turkey sides with the Palestinians and their just cause. In the event of the signing of an agreement between the two sides, east Jerusalem will probably become the capital of the Palestinian entity and west Jerusalem will remain in Israel. However, Davutoğlu's address to Arab ministers during the Turkish-Arab Business Forum meeting in Istanbul in June 2010 when he asserted that "soon al-Quds will be the capital [of Palestine] and we will go there together and pray at the al-Aqsa Mosque" [Milliyet, Aug. 30, 2010] implies that all of Jerusalem will belong to the Palestinians. This is not a realistic approach, and it is reminiscent of the crusaders' struggle to save Jerusalem from the hands of the [Muslim] infidels and make it a Christian capital. It is a similarly disjointed policy if the intention is to save Jerusalem from the Jews and make it a Muslim capital. As for Erdoğan's statements [in April 2010, he declared that Istanbul's destiny was inextricably linked to Jerusalem and Gaza, and in June he stated that Gaza's destiny couldn't be thought of as distinct from that of Istanbul, making the same analogy between Ramallah and Ankara, and Bethlehem and Konya], especially on Jerusalem, it is an international problem but not a national issue for Turkey. Istanbul is an important city within the borders of Turkey and it cannot be compared to Jerusalem. The consequences of using foreign policy issues to boost domestic political support and votes can be dire. MEQ: How do the EU's policies toward Turkey affect its foreign policy? Pamir: The EU's policies contributed to the shift of Turkish foreign policy toward the Middle East. However, this shouldn't mean turning one's back on the EU. The response to the EU must be, "Do not keep us hanging on by putting several conditions that you do not ask of other candidate countries." It is necessary to settle all these scores with the EU, to frankly state that a "privileged partnership" is unacceptable, and that the EU must apply the same entrance requirements to Turkey as to other countries. It is necessary to get the message across to the EU that Turkey wants to enter this club, but additional requirements specifically for Turkey indicate that the EU may have ulterior motives such as remodeling Turkey, which is something that Turkey cannot accept. Particularly in the field of foreign policy, Turkey has to explain to the EU that its strategic position is different from that of the rest of its members. Indeed, Turkey's borders with regions such as the Caucasus and the Middle East are an advantage for the EU as it can contribute to EU policies significantly. But in other respects, to close the doors to the EU would be a mistake. MEQ: But Turkey has seen real improvement in its relationship with the EU during the AKP era, such as the opening of membership talks in 2004. Pamir: True enough, but the government's efforts toward EU membership have significantly slowed down since 2005. Furthermore, rather than discuss the points of disagreement in the accession partnership document, it seems that the government has initiated the reforms that suit its own interests and ignored any other issues. MEQ: What is your view on drawing parallels between the Ottomans and the AKP, neo-Ottomanism? Pamir: At times, the AKP's foreign policy is reminiscent of that of the Ottoman Empire. Its foreign policy impulses give the impression that they are predicated on ideology. For instance, the AKP rightfully argued that Hamas was elected through democratic elections and that it should be, therefore, recognized by other states. But if it were to follow this line to its logical conclusion, the AKP should have commented on the rigging of the Iranian elections in June 2009. Similarly, Erdoğan participated in the Srebrenica memorial in July 2010 and rightfully declared that the massacre had become a dark stain on the Balkans, Europe, and the entire world. Yet in November 2009, he invited to Turkey the Sudanese president, Omar al-Bashir, who is accused of committing genocide. These contradictions inevitably raise questions about the role of religion in Turkish foreign policymaking. MEQ: Do you think the AKP started a new era in Turkish foreign policy? Pamir: In the last decade there has been a considerable increase in the social, economic, and cultural standards of Turkey, which led to the realization that it could act as a regional power. The AKP contributed to the awakening of this consciousness. It used soft power in the Israeli-Syrian conflict, in Lebanon, and among various factions in Iraq. Yet none of these developments mean that Turkish foreign policy has become multidimensional under the AKP. It has been multidimensional since the Atatürk era. For example, in the 1930s, Turkey established good relations with the United Kingdom and France even though it fought against them during World War I and the Turkish war of independence. Similarly, Turkey established good relations with the West in general as well as with Iran. It signed the Saadabad pact with its Middle Eastern neighbors in the 1930s and established the Baghdad pact with them in the 1950s. Being aware of its unique yet sensitive geopolitical position, Turkey has always tried to establish a security zone around it. It has been close to the Arabs, too. There are some historical facts that no one can deny, such as the Arabs' collaboration with the British Empire against the Ottoman Empire, as in the case of Hussein ibn Ali, the sharif of Mecca. Nevertheless, despite the protests of some circles, Turkey entered the Organization of the Islamic Conference in the 1970s. Similarly, Turkey disagreed with Israel on the Palestinian issue right from the beginning. It has been defending the Palestinians' rights and cooperating with them for years. The only difference that the AKP has brought to this policy was to define this issue as Turkey's national interest. In the final analysis, Turkey is a country with a deep-rooted history and traditions. And the AKP years will be remembered as a limited period within this long history. Damla Aras is a post-doctoral research associate at the department of war studies, King's College London. Hürriyet (Istanbul), June 18, 2010. Lale Sarıibrahimoğlu, "Şu monşerler meselesi," Taraf (Istanbul), Feb. 4, 2009; Aziz Üstel, "Buzlu Viski İc Geçer 'Monşer'ciğim!" Stratejik Boyut (Ankara), June 11, 2010; Emre Aköz, "Monşerliğin lüzumu yok," Sabah (Istanbul), June 23, 2010; Talip Küçükcan, "Monşer değil büyükelçi," Star Gazetesi (Istanbul), Jan. 25, 2010. Radikal (Istanbul), May 27, 2006. Sedat Ergin, "2002 öncesinde izlenen diplomasi onursuz muydu?" Hürriyet, June 8, 2010; Mehmet Tezkan, "Dışişlerini kapatalım elçileri kovalım," Milliyet (Istanbul), Aug. 15, 2010. Sarıibrahimoğlu, "Şu monşerler meselesi"; Üstel, "Buzlu Viski İc Geçer 'Monşer'ciğim! "; Aköz, "Monşerliğin lüzumu yok." Abdullah Bozkurt, "Conduct Unbecoming a Gentleman Ambassador," Today's Zaman (Istanbul), Dec. 12, 2009; Today's Zaman, Dec. 11, 2009. Ergin, "2002 öncesinde izlenen diplomasi onursuz muydu?" NTV (Istanbul), Jan. 31, 2009. Cumhuriyet (Istanbul), June 2, 2009. See, for example, the debate between academic and columnist Nuray Mert and Mustafa Karaalioğlu, editor of Star newspaper, Basın Odası program, NTV, Jan. 19, 2010. İsmet Berkan, "Balyoz ve askeri atamadaki sıkıntı," Radikal, Aug. 7, 2010. Gazete Port (Istanbul), June 8, 2006; Bürokrat Haber, June 9, 2010; Odatv (Istanbul), June 10, 2010. Mehmet Tezkan, "Anayasa mahkemesi demokrasiyi korudu," Milliyet, July 7, 2010. Israel's occupation of the Gaza Strip ended in May 1994 with its withdrawal from the strip (apart from various Israeli settlements), leaving the area under the control of Yasser Arafat's newly established Palestinian Authority. In August 2005, Israel unilaterally evacuated its remaining 8,000 citizens in the strip. —Eds. Related Topics: Turkey and Turks | Damla Aras | Winter 2011 MEQ receive the latest by email: subscribe to the free mef mailing list This text may be reposted or forwarded so long as it is presented as an integral whole with complete and accurate information provided about its author, date, place of publication, and original URL.